2016 marked the 500-year anniversary of the death of the world-famous painter Hieronymus Bosch, an artist whose life and work traversed boundaries and language barriers. His fame soon spread across Europe and his bizarre and utterly creative imagery was, and still is, greatly admired beyond Dutch borders. Now, his surviving oeuvre consists of about 24 paintings and 21 drawings and is found in 26 different museums and private collections in 10 different countries, 9 of which in Europe. The Bosch Research and Conservation Project was first presented as an initiative in 2007 and now, ten years later, the BRCP-team has presented the results of the largest international research initiative ever undertaken into the paintings and drawings of Hieronymus Bosch. Following seven years of dedicated research, the team uncovered a trove of new information about the artist and his surviving work, which is published in the two volume monograph Hieronymous Bosch, Painter and Draughtsman: Catalogue Raisonné and Technical Studies and is accessible through the innovative website boschproject.org. The research also led to no less than eleven conservation treatments and two spectacular and important exhibitions in ‘s-Hertogenbosch and Madrid that were visited by well over 1 million people. “This project represents innovations in research, conservation and technology and is an excellent example of the link between research and conservation of art“, stated the jury. The initiative for the BRCP was taken by the city of ‘s-Hertogenbosch, and envisioned to grow rapidly into an ambitious and international endeavour. 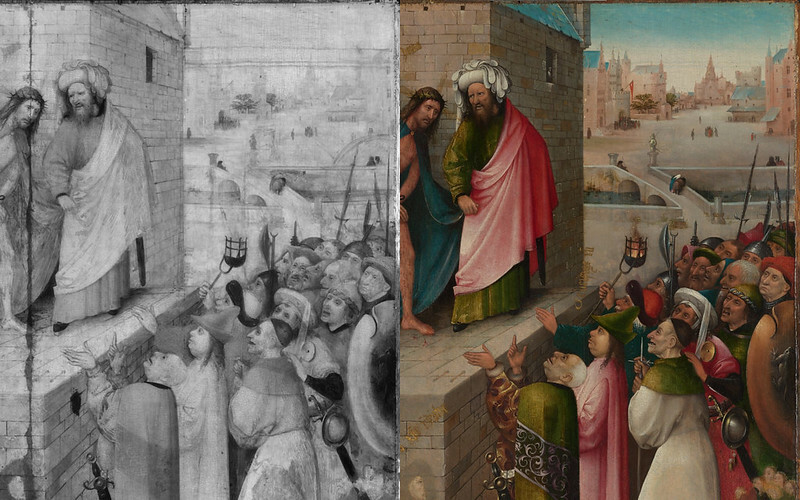 The Bosch Research and Conservation Project is a collaboration between the Radboud University, Het Noordbrabants Museum and the Jheronimus Bosch 500 Foundation. “The entire process of this project is exceptional. The efforts of the various stakeholders in the public sphere to mobilise all of the concerned parties to deliver such an outstanding result, including an international exhibition and a wide dissemination of the results, is wonderful. The comparably small team has evidently worked with devotion and with a keen understanding of the historical, cultural and social context of Bosch“, highlighted the jury.